If you’ve been around for long, you know that traveling is our thing. Since we’ve flown multiple times as a family, I thought it was high time I share some tips for air travel with kids. So many people complain about getting stuck in a plane with kids. While sometimes kids can be a bit loud and chaotic on a plane it doesn’t have to be frustrating for you or those around you. This post contains affiliate links. Purchases through these links may earn me a commission. Travel with kids is all about going in prepared. We started flying with the Wee Child when he was 5 years old. He was old enough at that time to understand about being quiet and respectful of those around him. That said, a lot of families have to travel with kids that are much younger, and flying can be a tough thing to manage. Our tips come from our own personal experience as well as that of our friends with children. Don’t check baggage when you travel with kids. This eliminates a large portion of wait time and running around in airports. If you have a lot of luggage, it’s time to really think twice about what you are packing. Usually, it just isn’t needed. Remember that in most travel situations, you are near a store that can be perfect for grabbing things you need once you arrive. Taking carry-on bags only is especially important when you have layovers and plane changes that have minimal time between each other. Nobody wants to lose luggage when traveling. Especially not when you plan to travel with kids. Most airlines now offer one carry-on piece of luggage and one personal carry-on that will stow away underneath your seat easily. When we fly, it is all pretty organized by using specific bags to make it easier to pack. Swiss Gear Pilot Case: These rolling bags are easy to pull through an airport and have a ton of extra pockets that make it simple to store everything you need and utilize as your carry-on. I like that there is a storage space on the back side padded and easy to slide your laptop into if you desire. In my case, I usually stuff my flip flops into that area since they are thin and easy to put there. There is also an extra zipper that expands the bag space at the top for another 2″. When it is full to capacity, it’s harder to fit into the overhead compartment, but it is still a bonus to this bag. Another bonus is that there are front pockets so grabbing toiletries for the security checkpoint only requires unzipping the front pocket instead of opening your entire bag. We have had our bags for almost 4 years now. They’ve been taken to Hawaii, driven cross country multiple times, and used fo simple overnight trips. There have been no issues in the hundreds of uses, and frankly, they are the best investment we’ve ever made for travel. Swiss Gear Backpack: We actually just discovered this a few years ago and fell in love. This backpack has extra padding and spaces perfect for carrying electronics like our laptops. We have two of these. My Beau carries one and the Wee Child has one of his own. They limit what I am allowed to lift (silly guys), so usually my laptop ends up in one of these along with other charges and similar items. They are super roomy, durable, and the adjustable padded straps make them comfortable to carry around easily in the airport. Military Style Messenger Bags: I bought one of these 5 years ago and I love it. Why? Because it has 5 exterior pockets, a large roomy interior with a zippered pocket, and a lovely flap that is velcro so easier to get open as needed. I seriously adore this bag because I can keep an itinerary, books, snacks, and yes, even my laptop all in one easy location. All of these things make it easier to avoid checked baggage. They also make it easier to bring along items that occupy your kids. If you are going to travel with kids, do it with the right tools on hand. Bring your own snacks when flying with kids. 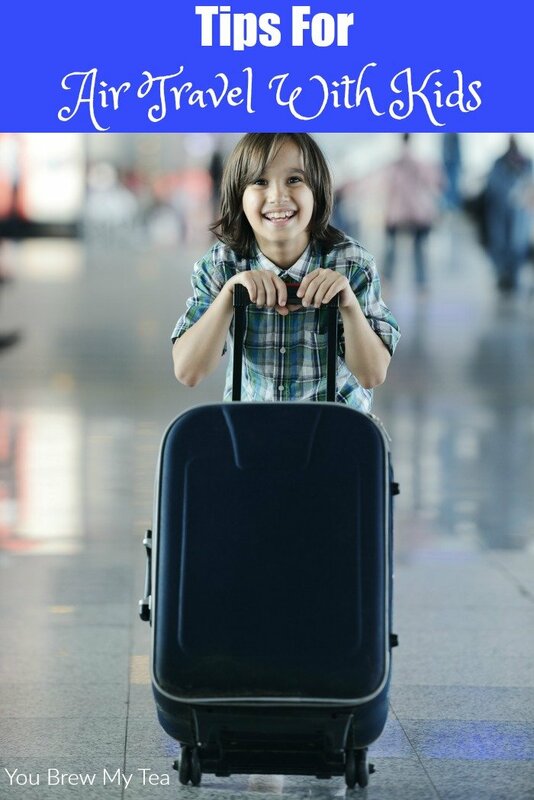 Although the airline typically provides a snack and beverage even for the shortest flights, it is wise to bring something along that your child likes. Most airlines allow foods in packages that are unopened. Just make sure to have them in an easy location to show at the security checkpoint if needed. We pack in a gallon sized Ziploc bag and simply pull out and put into the tub along with electronics, etc. at the security checkpoint. That way it is out and easy to access if they care to look at it. We have packed various items through the years, but this is a great place to begin for ideas: bananas, fruit snacks, peanut butter crackers, pudding cups, beef jerky, cereal bars, granola bars, single serving boxes of cereal, graham crackers and other already portioned single serving sized non-perishable snack items. Bring items to occupy and comfort on the plane. Create a bag of things your child can do that will be quiet and not require a lot of assistance. Coloring books, magnetic puzzles, activity books and even books for reading if they are old enough. Tons of items are available online or at your local dollar stores. We love bringing coloring books and crayons, but also things like magnetic puzzles. A comfort item is another must when you travel with kids. Whether it be their favorite stuffed animal, a blanket or pillow make sure to save room in their bag for their comfort item. 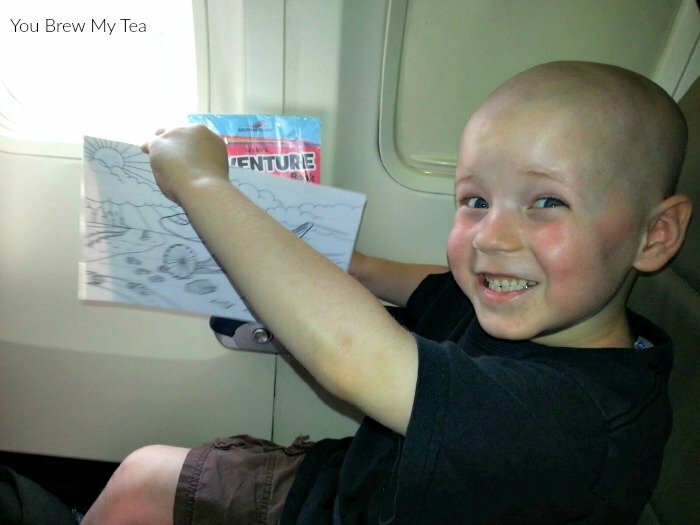 Flying can be scary for kids and having to stay in strange places can be tough to adjust to. Having a special item from home makes all the difference in the world toward their comfort and ease on a flight or in a strange bed in a different city. Don’t forget the electronics when you travel with kids. I am not typically a fan of video games and electronic devices to occupy children but on long trips in the car or by air I make a giant exception. Pre-load your laptop, Kindle or Smartphone with movies or televisions shows your child likes. In the old days, I would suggest packing a portable DVD player, but anymore that seems excessive with so many easy options on smaller devices. Netflix and Amazon Prime are our personal favorites for streaming. If you don’t have Internet services while flying, you may prefer to use games or other movies loaded to a device instead. Amazon Underground is my favorite app for downloading games and such since there are no hidden fees involved. Don’t forget to pack the right chargers and accessories to make it easy to view or play without disrupting others. We love traveling. In fact, I can’t imagine our life without routine trips. From our visits to Tulsa to the annual trek to our parents in Southern California, I love packing up for an adventure. To travel with kids, you must be prepared, and our tips definitely make that easier to manage. We are always fans of finding affordable travel locations. Being in the Midwest means that there aren’t as many of those big name attractions, but there are still amazing family vacation destinations, and we found one just a few short hour away in Tulsa, Oklahoma. Since my sister lives in Tulsa, it was perfect for us to use a few days recently to get away and do fun things together as a family. Spending time with my Sister is our favorite part of traveling to Tulsa, Oklahoma. That said, this little city in the Midwest packs a lot of punch that fits easily into any budget. Whether you want a fun place to go with kids or a unique foodie experience, you’ll love Tulsa, Oklahoma as a travel destination. We’ve taken a few tips from our most recent trip to share with you here. Take alternate routes to avoid tolls. Traveling in and around the city of Tulsa means you will encounter toll roads. It is a given that you will be spending a few dollars coming into or going out of the city. You don’t however, have to spend much outside that initial expense if you utilize the map to avoid tolls. Traveling within the city and staying off the freeway that helps get from one destination to another faster can save money. The mileage is almost always nominally different, but taking in city roads instead of the freeway will take a bit more time due to stops and slower speed limits. Take the time map your travel to the city and within the city for alternate routes without tolls. If you do have to take a toll road, make sure you have plenty of loose change on hand in your car. Many toll locations only take change and don’t accept credit cards. Choose a hotel with breakfast and extra space. 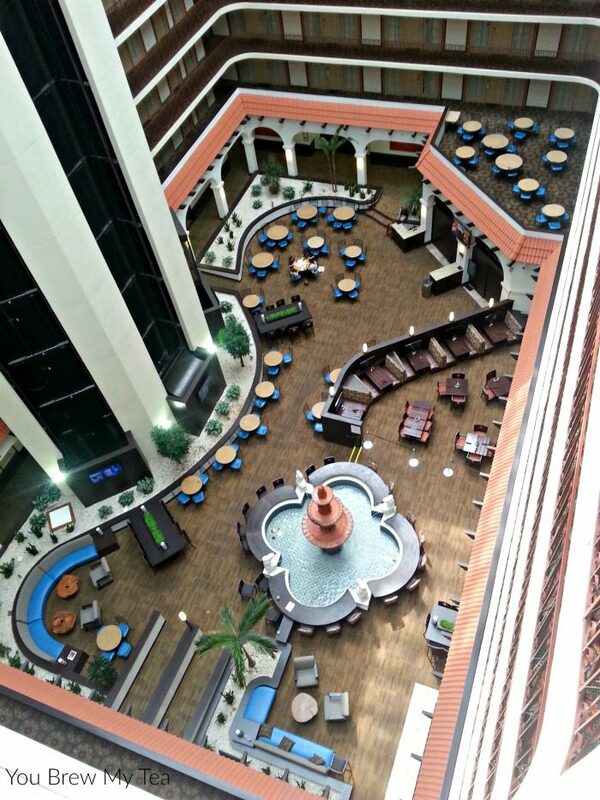 We personally love the Embassy Suites location anytime we travel, and the location in Tulsa is definitely amazing. While it is more expensive than many lower-end hotels out there, it actually ends up being more cost-effective for us every time. This location is located in a convenient location that is within minutes of everything you want to see, but quiet enough that you don’t feel like you are too crowded by activity. Our two favorite parts of the Embassy Suites are the added “living room” in each suite and the made to order breakfasts. We like the privacy that is given with a door to the bedroom. That means we can have a little alone couple time after the Wee Child is asleep on the pull out sofa. For a larger family, their options that include king suites, queen suites, or even double bed suites, you can easily sleep 6 people in one room with no cots or kids on the floor. This is perfect for cutting costs for a large family that might otherwise have to book multiple rooms. The made to order breakfast, and the evening reception with drinks and snacks, are both great ways to cut back on food costs when traveling. A glass of wine or a soft drink with some chips and salsa may not seem like much, but if you have been busy all day out and about, they are a great choice to tide you over until you order dinner. For a family of 4, buying a drink and snack for everyone would cost $10-$15 night. The made to order breakfast isn’t just donuts and coffee. They serve up omelettes, biscuits, gravy, sausage, bacon, fruit – just about anything you could ask for in a breakfast. A restaurant style breakfast of that nature would cost $30-$40 a day. Even a fast food breakfast would easily cost $15-$20 a day. That adds up to an easy savings of up to $65 a day in food. It makes the hotel nightly rate even less expensive than a competitor would be on your budget. Plus they have an amazing indoor pool, hot tub, fitness room, and a kids arcade area. Pack your own snacks and meal options. This is one of my top road trip tips, no matter where you travel. If you choose a hotel like Embassy Suites, you’ll have an in-room microwave and mini refrigerator. That means having a fast lunch or dinner from things you bring with you is totally doable. They even have a decent sized table that you can sit around for a family meal. Shop deal sites for local activities. One of the best things I found preparing for our trip to Tulsa, Oklahoma was that Groupon had some great deals on area attractions and restaurants. We saved around 50% off regular costs on the things we paid out of pocket for just by grabbing deals on Groupon. Things like half priced movies, local miniature golf locations, and even some of the big attractions and museums offer discounts through Groupon. Contact the Tulsa Chamber Of Commerce: One of, if not the best affordable travel tip I have for any location is to check with their Chamber of Commerce for discounts, coupons, and local guides. You will often find discounts for the hotels in the area, but also tons of buy one get one free coupons or vouchers for things like local museums, the zoo, or even the local water park. The Tulsa Chamber Of Commerce is a great group that will give you plenty of information on what to check out in the area, and how to save money in the process. 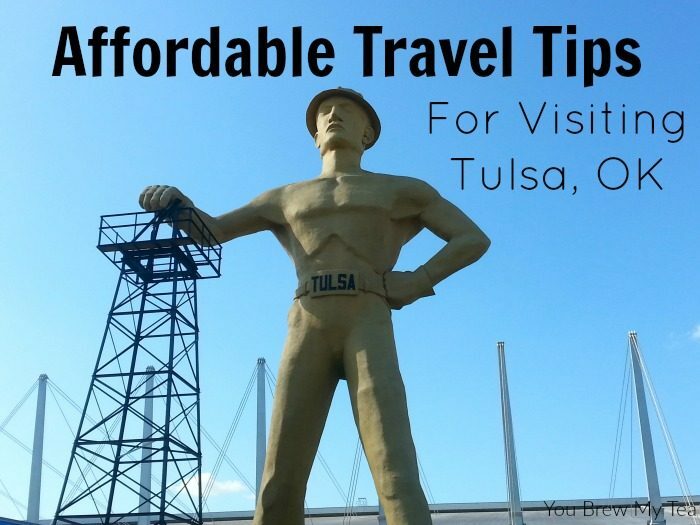 These affordable travel tips are what made our recent weekend getaway to Tulsa, Oklahoma a much more affordable time for our family. We loved venturing out into the community to test out great local restaurants, have fun as a family, and to enjoy local hospitality. 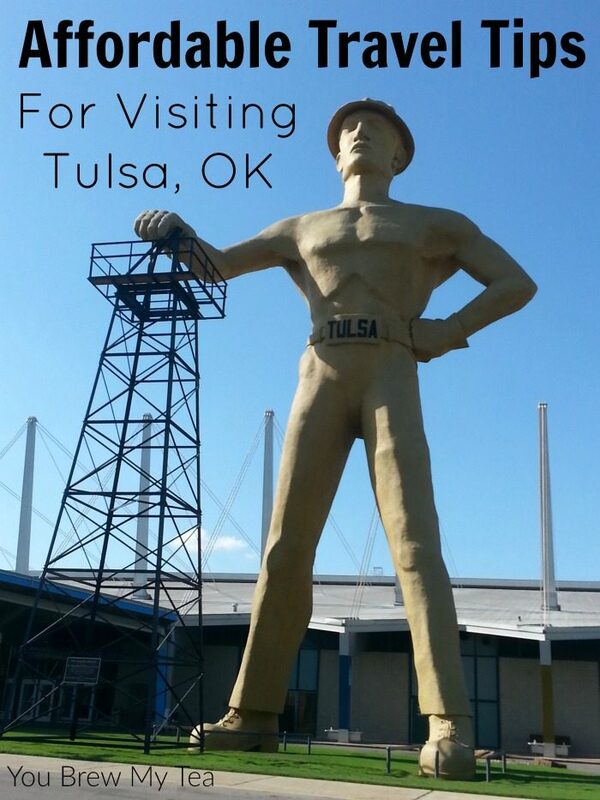 If you are in the Midwest, definitely keep Tulsa on your potential travel destination list. 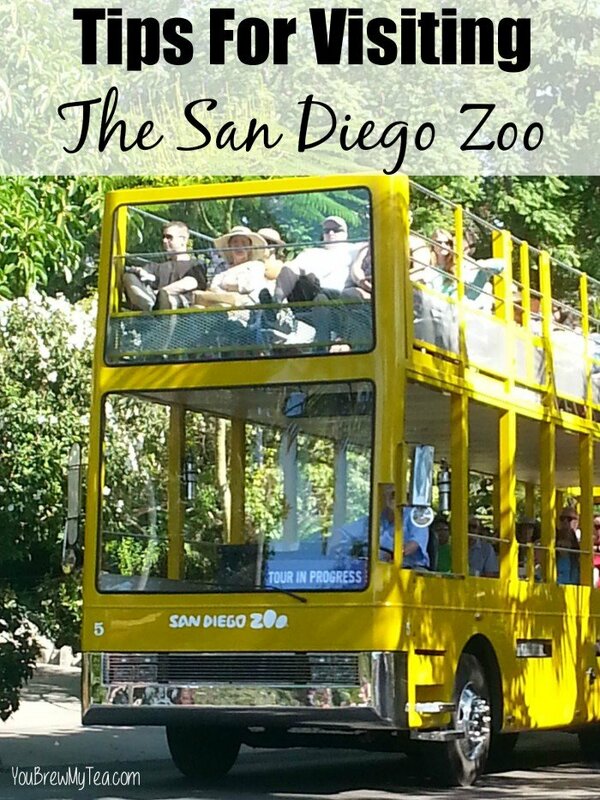 These Tips For Visiting The San Diego Zoo came from our recent visit to this world renowned zoo. My Beau grew up in San Diego, so this zoo was nothing new for him, but it was the first time the Wee Child and I have had a chance to visit. I can say right away that it was by far one of the best blogging perks we have ever enjoyed. We were given one day zoo admission in exchange for our review of the park. This is one place I had no trouble finding great things to say about! Take the bus tour when you first arrive in the zoo. A day pass to the park will give you a chance to ride the complimentary bus around the park for a half hour guided tour. This bus goes only around one half of the zoo, but it is still an amazing chance to see more of the zoo in a short time. It will also help you to get the lay of the land so to speak. Bring your own snacks and drinks. While you cannot bring coolers into the park, you are allowed to bring your on food into the park. You can pack a small backpack with sandwiches, snacks, bottled water and chips to help cut back on costs inside the zoo. One other way to save on food is to invest in the San Diego Zoo souvenir cup. For a flat rate you can have the cup, and get super discounted refills or often free refills for that day in the park. Check out their live feed ahead of time to learn patterns of when animals are out. You want to see the most animals you can while in the zoo. A great way to make sure you see the ones you want it to check out the awesome live feed cameras they have on their website. Not all animals are featured, but their top habitats have a live webcam. This will help you track the patterns of what time of day certain animals tend to be out. Be prepared to wait a long time to see the Pandas. The Pandas are one of, if not the most popular exhibit in the zoo. No matter what time of day you arrive, you’ll most likely have to wait for a significant amount of time. Since this area isn’t completely shaded, you’ll likely be in the hot sun for a considerable amount of time. Plan ahead by filling your water bottles, going to the bathroom before getting to the area and making sure to bring your sunscreen and hat to protect your skin. Utilize the Skyfari to get back and forth across the park. This is an easy way to get off your feet and take a break from the heat. Hop on the Skyfari and sail over the top of the zoo from the back of the zoo near the Polar Bear habitat down to the front of the zoo. This is a great way to get back and forth to the two farthest points, but also a beautiful view of the zoo and the city around it. Visit the cats and bear habitats early in the day. Both cats and bears tend to stay inside and out of the sun. Visit early in the day for the best views. They are more likely to be out sunning or playing when it is cooler in the morning. We truly loved our day in the San Diego Zoo. While the ticket price is a bit high for a large family to swing often, it is well worth looking into getting a membership if you are in the area. For a great splurge while on vacation, it is worth every penny. Free parking makes it even better. 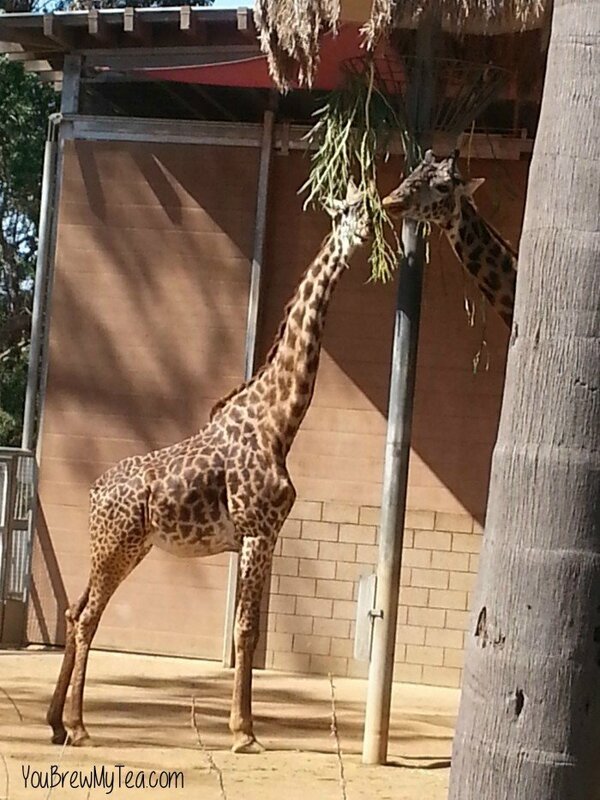 The San Diego Zoo has a great active social media community and loves interacting with those that visit their facility. Make sure to follow them on Facebook, Twitter and Instagram for special promotions. 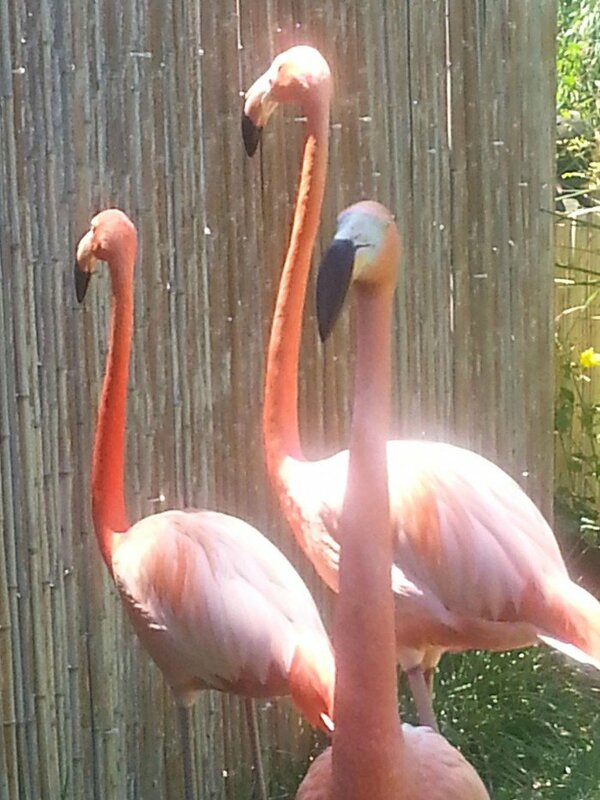 While we did receive free passes to the zoo, our views and opinions about the zoo are our own. It isn’t world renowned for nothing. This zoo works hard to give the animals a natural setting most like their natural habitat would be. They also care and foster animals that are facing extinction, have health issues or need to be rescued. This zoo and the San Diego Safari Park that is part of their programs are absolutely wonderful places to visit with your family year round. 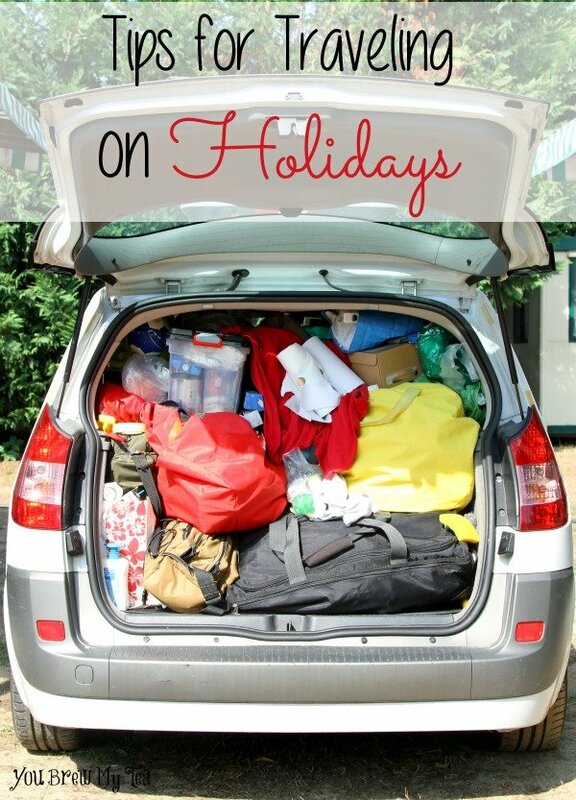 These 101 Practical Travel Tips are sure to make your next family vacation a wonderful trip that everyone remembers fondly. I am all about making our family travel easier on everyone. That means I put into practice tons of little things that keep us organized and in budget. I also use lots of apps, lists and organization to make sure we keep track of everything we are doing. Travel really is our favorite thing to do, and working from home makes it much easier for our family to accomplish. These tips will make it easier for your family to manage this year. Check Endless Vacation Rentals for great resort, condo and home rentals at a fraction of the cost. Purchase Citypass for metropolitan areas like Southern California, Dallas, Chicago, San Francisco, Tampa and more. These save you hundreds of dollars on local entertainment. 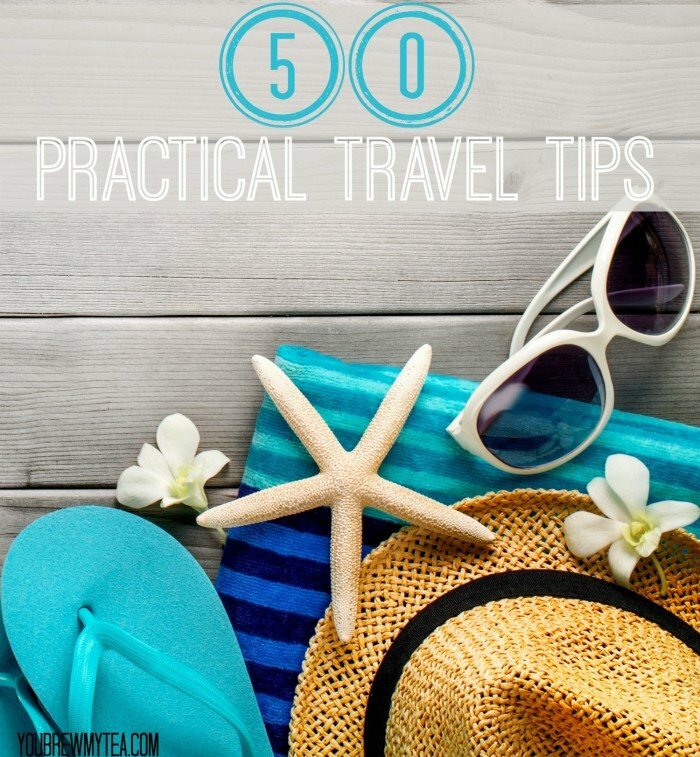 These practical travel tips are just the beginning of the ways we save and make our vacations easier and better. We love travel and love to share our favorite ways to save. Check out some of our other best travel posts for savings and practical tips!